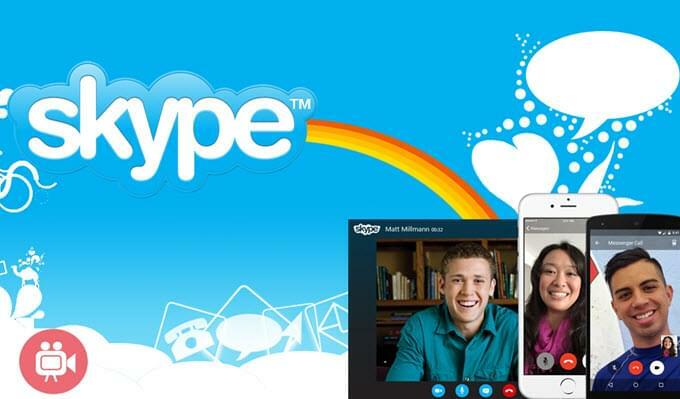 Skype, which is considered as the most popular program for instant message client, has been purchased by Microsoft since 2011 and now boasts the official alternative to MSN or even better. Many people always make use of this program to get in touch with their friends and siblings via video calls, mostly. And there are times when people wonder how they can record Skype video call between them and their partners and save those important unforgettable moments for future use. 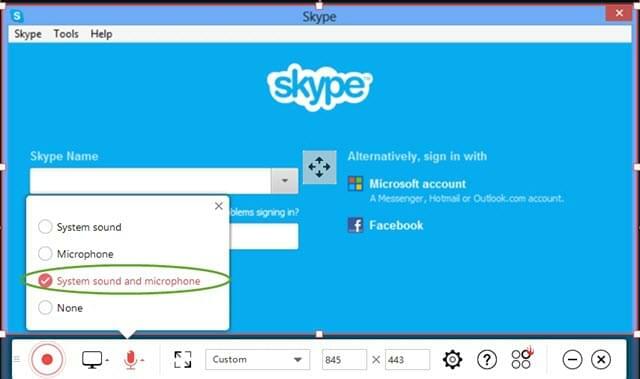 Hence, today I would like to share some efficient tools that help record a video call from Skype on different platforms without difficulty. For those users who always use Skype on their computer, ShowMore is absolutely a sensible choice. In fact, it is an online screen recording application so you can utilize it on both Windows and Mac OS without payment. You are free to choose different recording area or record full screen as well as webcam together. Moreover, audio source from system as well as microphone can be captured without loss. When recording Skype video calls, you are able to capture video along with audio from both sides synchronously. When its interface pops out, open up options menu and configure some personal settings such as recording hotkeys and output format. Set audio input as system sound and microphone. Start a Skype video call and get ready for recording. Then adjust the window suitable for recording. Simply click on the “REC” to start recording. Once done, click the pause button to stop and tick the icon to continue. Preview the video and choose to save file. Seven video formats and GIF are all optional. Next, just check the recorded video in the selected file. 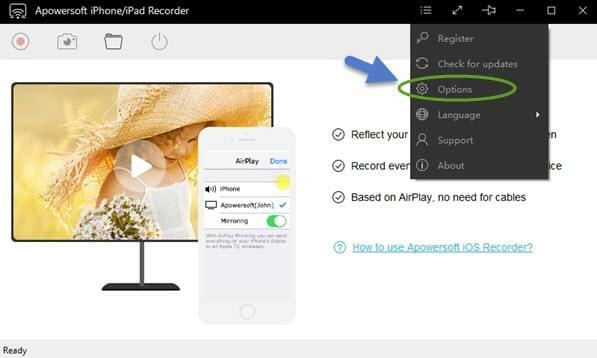 Apowersoft iPhone/iPad Recorder is a useful program highly recommended by many people. It allows users to capture any screen activity from iPhone/iPad including video calls, games, apps and so on. Moreover, it can add sound track from both system and microphone together to the screencast video. As a result, you are able to capture video call from Skype without any loss. As long as you connect your iPhone/iPad with the same Wi-Fi network as program does, they two can get connected with each other wirelessly. To know how to record Skype video calls on iPhone, just keep reading. First, press the download button below and install this program. Launch the app on your desktop, open options menu and preset some necessary settings like video quality, output format. Now on your iOS device, swipe up from bottom and tap “Airplay”. On seeing a TV screen icon with your computer’s name, tap it and enable mirroring. After that, start a Skype video call and get ready. Simply hit the record button to start recording. Once done, click stop button and the recorded video will pop up automatically. If you also want to save some pictures during video call, you can simply click the camera-like icon located on the tool bar to take screenshots as many as you like. 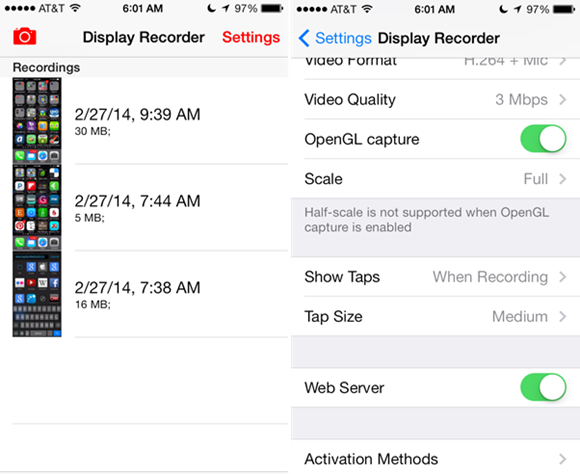 Another mobile app for you to choose is Display Recorder. It can be used for capturing video calls, mobile games and any other screen activity. Without the help of PC, user can make use of it directly on their iDevices. But the defect is that Display Recorder is not accessible on the Apple Store and you need to jailbreak your device for getting its screen recording features. To know how to download the app, first install a third-party app named as Cydia Store. After that, you can find Display Recorder and then install it on your iPhone/iPad. Once done, configure the recording settings. 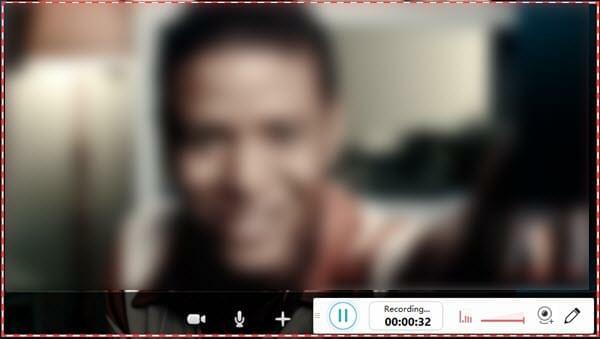 Simply press the “Record” button and it will record Skype video call instantly. You will see a red bar emerging at the top of your screen while recorder is working. When you want to finish, you can click on “Stop” button and check the recorded video. 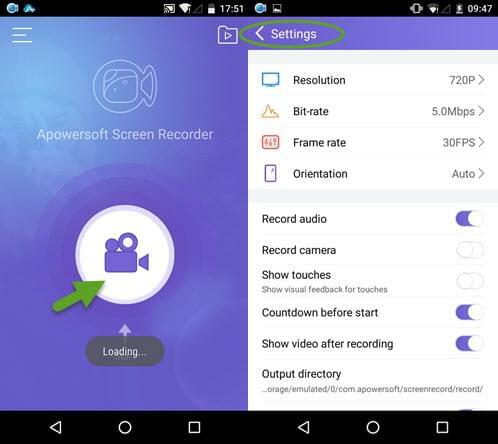 If you make use of Android device, you can still have a try on Apowersoft Screen Recorder. It is a free app which you can get directly from Google Play. Without troublesome ads or risky root operation, it is surely trustable and safe to use. With this tool, you can capture quantities video clips together with sound in good quality. Plus, its feature of taking screenshots can also be helpful in case you want to take some pictures. 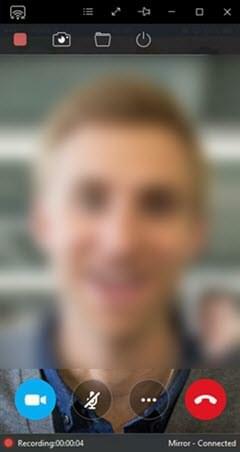 Upon how to record Skype video calls on Android, the very first step is to download and install the app on your phone. All these eligible tools are thought highly by users and they can certainly help you out. No matter for PC or mobile platforms, it should be quite easy for you to record Skype video call or any other video calls now. Hence, just take it easy and save those joyful moments chatting and laughing with you friends and mates. Rating: 4.3 / 5 (based on 70 ratings) Thanks for your rating!